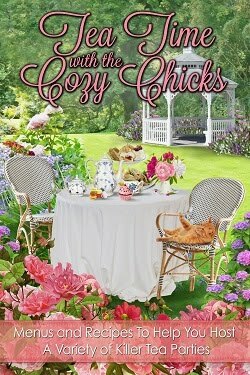 Cozy Chicks: FALL TV--What Do You Think? FALL TV--What Do You Think? After learning that The Glades, a scripted cop show on A&E was canceled after airing a final episode with a HUGE cliffhanger (seriously A&E, what is WRONG with you?) I thought I was done with TV. But no. I am a TV junkie and I don't mind admitting it. I like books and TV and movies and songs because I love stories in any form. gave it a rerun last night. Now I will probably have to choose. But honestly, Hostages didn't exactly make me want to return. I haven't watched The Blacklist yet, so it may end up being my choice. had a cliffhanger, too! At least NCIS is wrapping up the storyline for Ziva, unlike those meanies at A&E who left viewers to make up their own resolution. and the story complex. I hear there will be another season that it will be totally different. But I'd tune in just for the setting. I also loved Masterpiece Mystery's Silk and though my husband doesn't usually like the British stuff, even he was captured by it. The Voice is as great as ever and I am glad it's back. Blue Bloods was also had a very well written opener. What about you? Even if you're not a TV fanatic like I am, what do you enjoy watching? And what will you miss? I NEVER watch reality shows but last year got hooked on The Voice somehow. I think the appeal is that the judges are never negative and really try to be constructive in their criticism and work with the contestants throughout the show. 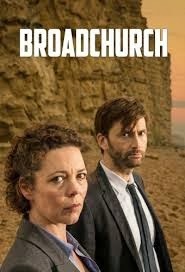 I have been recording Broadchurch and plan to binge watch soon. I don't watch a terrible amount of tv unless it is PBS (yes, I am one of those...haha). I am enjoying Last Tango to Halifax, liked Silk (although my ignorance of the British legal system made it a bit of a puzzle at first how they could both defend or prosecute - thank you Wikipedia for providing answers). Have recently discovered Lark Rise to Candleford and think it is another brilliant show. Love seeing ABFAB's Saffron in different type of role. One network show I do watch, though I needed to play catch-up, is Castle. I like the relationship between all the characters. Very reminiscent of cozys. Tuned in to The Michael J Fox show and sadly, was disappointed. It was nothing out of the ordinary and the characters talking to the camera was annoying. Having been raised by the television when I was a child, I still have a special bond with it. I wasn't lured by Hostages, but I tuned in to The Blacklist and I'm hooked already. James Spader is a fave of mine anyway, but midway through the pilot episode, the young FBI agent does something so crazy-incredible, I was IN. I watch a lot of the mystery/crime/thriller shows. Oddly enough, while I'm in one room watching Person of Interest, hubby is in the other room watching Lifetime Movie Channel. He likes chick flicks. I'm lucky. With timeshifting, I get to watch "Hostages" at 7pm and "The Blacklist" at 10pm. Tonight I'm looking forward to the return of "The Simpsons", "Revenge" and "The Good Wife". Watched football on Thursday so I recorded both "Parenthood" (watched it yesterday) and "Elementary" (haven't watched it yet). Again, it's a good thing I have timeshifting because starting this Thursday there will be 4 shows on at 10pm that I want to watch. The other 2 are "Scandal" and a new Canadian show called "Played". I saw Blacklist last night and loved it. I think you will too. I passed on Hostages, didn't like the revamped Ironside. Wasn't Broadchurch great? I did not see that ending coming. I hope season 2 is a good one. I'm still watching a few of my favorites: Person of Interest, Castle. Oddly I didn't watch Criminal Minds nor either of the NCIs. I had to Google information about the British legal system and what Silk meant, too! I am not a sit-com watcher. Seinfeld, my favorite, spoiled me forever. The Voice is a journey, so I guess that's why I love it! Timeshifting? That sure would be nice here. Elementary is another fave and the episode seemed to go so fast this time! Loved it! And I have always enjoyed The Good Wife. LOVED Broadchurch and totally forgot about Ironside. I'll have to catch it online as I adored the original. But then Raymond Burr was awesome in both Perry Mason (never missed an episode way back when) and Ironside. I understand they created the wheelchair character because he had difficulty walking in real life. Love Person of Interest because the fights just crack me up. Jim C. plays that character so well! I'm with you Gayle. My dad fixed TVs as a side job so we always had two or three when most people only had one. 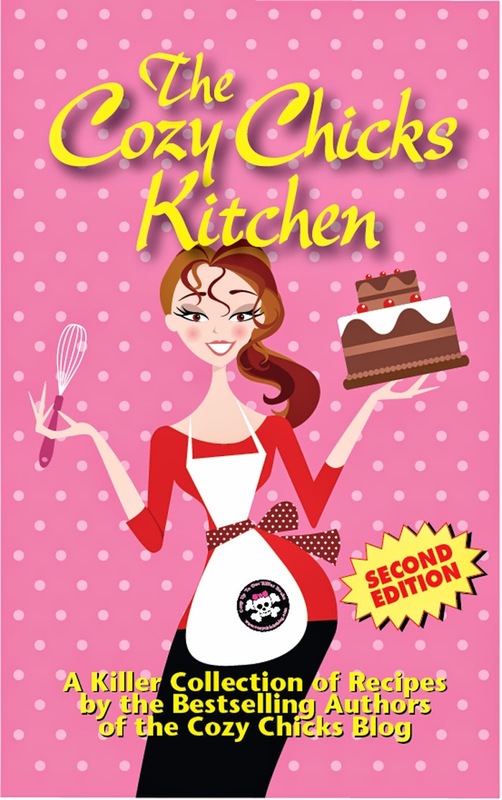 So I was hooked early! And if I tuned in to Lifetime regularly, my husband would be hooked, too. But don't tell him I said that! 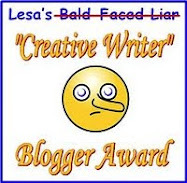 Leann, I Tivo-ed Broadchurch and am so glad you posted this!! It sounds terrific. Somehow I missed SILK, I"ve been trying to keep up with all the Masterpiece Mystery shows and Masterpiece theatre. Thanks for the heads-up! You'll like Broadchurch, I think. Silk will replay. I was sorry it was only 2 or 3 episodes. Luther this time was only 4. The lead actor is so sought after (because he's awesome!) that I think that's why we won't be seeing any more Luther's. Hope I'm wrong! Why am I unaware of Broadchurch? I don't have cable tv or any of those services and paid channels, and now it is almost impossible to see those things online unless you pay a premium. I never knew how spoiled I was. Yes - I still have my childhood tv addiction. I enjoyed Blacklist and all my friends are getting into Sleepy Hollow and awaiting Wonderland. I like the Good Wife, Downton Abby,which won't show here until Jan. Darn!!!! I also Like Castle, NCIS and the Big Bang. It's silly show but makes me laugh. I love Blue Bloods but I fell asleep and seem to be doing that a lot lately. I didn't even see the beginning and the news was ending when I woke up. I guess I will have to have a nap in the afternoons or record these shows. Broadchurch was on BBC America, so that's probably why you didn't know. If you get Amazon Premium (free shipping on almost anything), it's $79 a year and you can a million shows online. 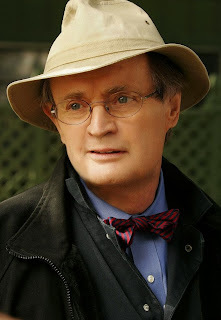 I also have Acorn TV, which is online for something like $39 a year. They have many of the British shows so I have been able to catch up on almost all the Midsomer Murders that I have missed since BBC America dropped it. Yes, Blue Bloods is on TOO LATE! My husband had to fight to stay awake but it is one of his favorite shows. Love Downton Abbey, as well. Looking forward to January! (I enjoy The Good Wife as well). I love The Voice! It's one of my favorite shows. I also like to watch Dancing with the Stars which is on at the same time as The Voice. I usually watch it on my iPad at the gym. My other favorite show is The Big Bang Theory. I never miss that. I had high hopes for the Michael J. Fox show and found it to be blah. I'm not sure I'll watch it again as my time is rather limited for t.v. watching. The Voice is definitely one of the best shows on television for all the reasons others have stated. To be judged not by how you look or dress, but by your talent is a great idea I wish more people in the world would embrace. I am glad we get to follow the contestants' journeys. Loved The Glades. Really bummed with the cancellation. The last season started off silly but got back on track to then be cancelled. Argh! I tried to comment with my name but it doesn't take. I don't have a URL. Commented that we liked Vegas last year on CBS starring Dennis Quaid. It had good ratings that were similar to shows that CBS kept. The problem for CBS was that the ratings weren't in the demographic group that they wanted. I love TV also. Hope Doc Martin on PBS starts a new season soon. Is there anyway besides anonymous that I can post without a URL? I absolutely loved Blacklist! I watched the encore last night and it was simply amazing. I also love Agents of S.H.I.E.L.D. I hope you enjoy Blacklist as much I did. The "demographic" issue is a hot button topic for me. First of all, it's 18-49. Like the rest of us don't count? We DVR, we watch and we do buy stuff that's advertised. It's an outdated way of deciding what shows to keep and what to cancel. Body of Proof was one of my favorite shows and it was cancelled because the viewers didn't fit the demographic. I have decided we don't count to some of TV networks. Am trying gmail/google to see if I can use my name now instead of anonymous. Thanks for your help. Leann, I love British dramas and mysteries, but had never heard of Acorn TV. Just looked at their website and felt like I was in heaven! Thank you so much for mentioning it. It really frustrates me when shows are cancelled without giving writers enough time to wrap up storylines, but as I'm outside the 18-49 demographic, there's probably nothing I can do. I was disappointed in this season's new shows because I don't like fantasy, suspense, commedy, etc., but may have to try Backlist after reading everyone's comments. The only show I had thought about trying is Ironside, because I loved Perry Mason and the original Ironside so much. Broadchurch is on my DVR and I'm eager to watch it. And I hope Louise Penny's Still Life makes it to PBS soon. Acorn TV is awesome. When I want to shut everything out, I plug in my earphones and just watch something British. They have recently upgraded their content, too. Used to be some series were only up for a limited time and then you'd have to hope they came back. Now, they keep them up there, add stuff frequently and have a lot more shows to choose from. I am worried about Ironside since I loved the original so much. Blacklist had twists and I LOVE twists! Surprise me and I am hooked! Loved Broadchurch - what an outstanding series that was! I refuse to watch reality shows, I can't stand them at all. I prefer drama, especially mystery and suspense - so yes, I watch Castle, also Person of Interest, Blue Bloods, CSI: Crime Scene Investigation, Hawaii Five-O (I'm from Hawaii, we like to spot the places and name them for our son - the show has lots of eye candy). I'm waiting for White Collar to return. Oh, and as a superhero comics fan, I loved Marvel's Agents of S.H.I.E.L.D. I watch live broadcast TV, don't like to DVR. My life is too hectic - it's really difficult to find time if I've missed a show. I work two jobs plus freelance. Your list sounds a LOT like my list. And yes, when you're still thinking about a show like Broadchurch even after it's been over for a bit--that's a GOOD show! Waiting for Longmire to come back. Along with Grimm, Once Upon a Time. I also love Castle. OK, I'm a TV junkie. I discovered my library has a lot of British shows. I entered "Acorn TV" as a Keyword in he search box and up popped all the Masterpiece Mystery shows and a few I had never heard of like George Gently and Pie in the Sky. And the price is right! I know! Acorn TV is quite the bargain for those of us who love British TV shows! I will not watch Hostages - I love Castle and I might try to keep up with Blacklist. 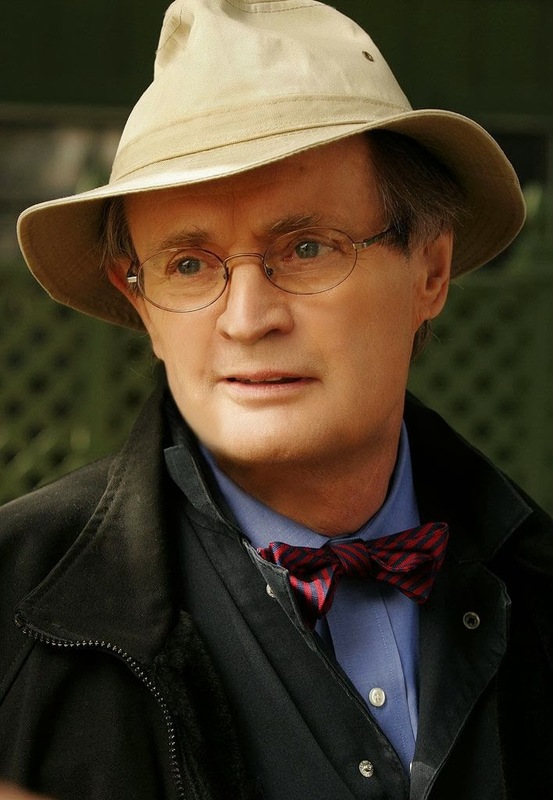 I love NCIS especially Ducky-David McCallum was nice to me when I met him. I also like Blue Bloods very much. Amazing Race is a must see for my husband and me. Anxious to see what happens to Castle tonight! That was a great cliffhanger last week! Leann, I immediately subscribed to Acorn TV - now that was really a "no brainer" for me! Tried out a series I had never seen before through Roku this afternoon, George Gently, and loved it. He's a DCI in the northern part of England. Beautiful scenery! I'll have to keep a close eye on their "leaving soon" section, though. 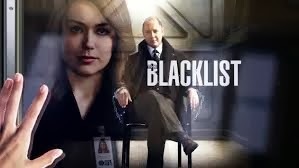 I also watched The Blacklist and, although it's a little scarier than what I normally like, it was pretty addictive - or maybe it was James Spader that was addictive. Thanks for your suggestions, Leann. I think we have similar tastes. Debra, I subscribed yesterday and watched the first George Gently episode this afternoon. Love that show! I am TV-Junkie and admit it and like way to much series, like almost all you already mentioned and Army Wives, West Wing, The Newsroom, Damages, Rizzoli & Isles and so on...Because I'm living in Germany I have to wait aaaawfully long till new Episodes are shown. It must be so hard to wait! I wish we'd get Downton Abbey at the same time they do in Britain. But waiting for all the new episodes? Very hard, Charly! Yes, I know Acorn TV offers paid subscriptions but my point was you may not need to subscribe if your public library offers the shows free to borrow. I went to my library website and entered "Acorn TV" as a Keyword term in the box. Of course, I have no idea what your library catalog has on offer. I'm glad libraries carry so many British shows! Yet another option! Love it! I love T.V. shows, especially dramas. I don't have a D.V.R., but I watch shows On Demand. ABC and NBC (including The Blacklist) are on demand. I liked The Blacklist and Marvel's Agents of Shield. I watched some of Sleepy Hollow. Haven't watched Hostages yet and CBS isn't on demand. I'd like to see it. Cancelled shows I liked from last season were 666 Park Avenue, Zero Hour, and Do No Harm. I don't watch new comedies because they're so vulgar so I watch the kids' shows on the Disney Channel. I watched Body of Proof, too, but I'm not too upset at its cancellation because it did last more than one season. I don't know how they figure out how old the viewers are; sounds crazy to me. I like P.B.S. shows too and can get them on DVD from the library. It's a five-minute walk from my house. No Netflix for me. I don't even own a computer. I love Murdoch Mysteries, a Canadian Victorian detective show available on DVD from Acorn. The new season just started on CBC, a Canadian station I actually get because I'm in Toledo, only about an hour away from Detroit and Windsor. I love Once Upon a Time and I'm looking forward to the new show, Once Upon a Time in Wonderland. Haven't seen George Gently yet. I don't know if the library has that one, but I could always get it through an interlibrary loan. I have seen some Midsomer Murders, but have a lot to catch up on (the library has a lot). Sounds like you get a good variety. When I was young we lived near the Canadian border and I actually liked their TV stations better. I have watched Murdoch and am happy to know there's a new season! Thanks for letting me know! You can watch it online at CBC.ca/player. Another show on CBC is Cracked and I think it's on the Reelz channel now. Oh, wow. Thanks for this Micky!